WILLIAM MORRIS, artist, philosopher and political theorist, was one of the most outstanding and inferential designer of the Arts & Crafts Movement and through his company, Morris & Co. he produced some of the most fashionable and exciting turtles and wallpapers of his era. 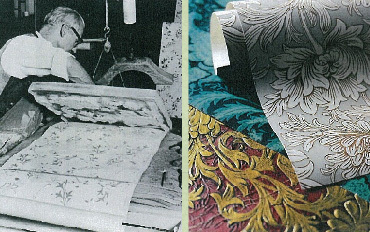 Morris' wallpaper designs are among the best known examples of his work and he personally designed 46 wallpapers and 5 ceiling papers over his career. Other designs, most notably J.H.Dearle, who later became Artistic Director of the film also contributed to the collections. 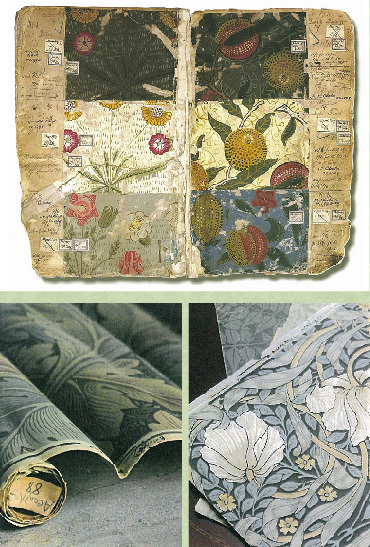 Morris remained closely involved in the production of his designs, choosing the colours and overseeing the printing. HIS LEAGCY continues today with Morris & Co. producing authentic versions of his original design alongside new interpretations, using innovative print techniques to create up to date wallpapers with timeless appeal.